You can use an area of five kilometers for your brand, with several levels of difficulty and an abundance of challenging topography. Twists and turns, steep runs and water-filled ditches await you and make every drive through the terrain unforgettable. 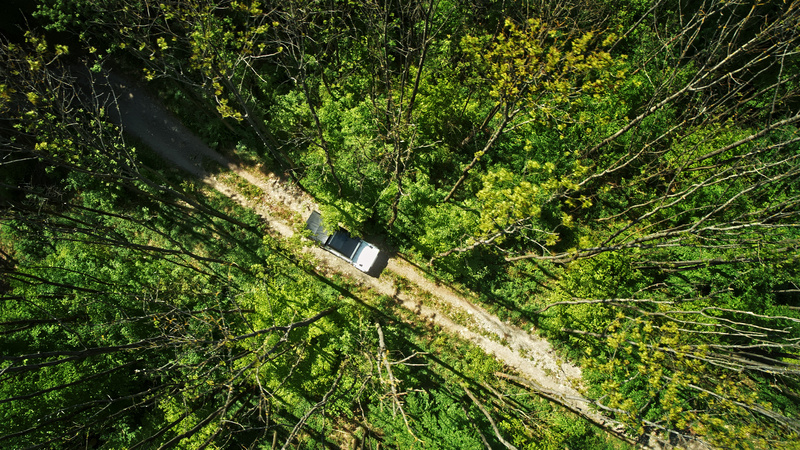 The off-road course provides the ideal conditions for impressive rides in SUVs or off-road vehicles. The off-road course at BILSTER BERG offers about five kilometers of well defined tracks in three different difficulty levels: Blue (easy), red (advanced) and black (difficult). 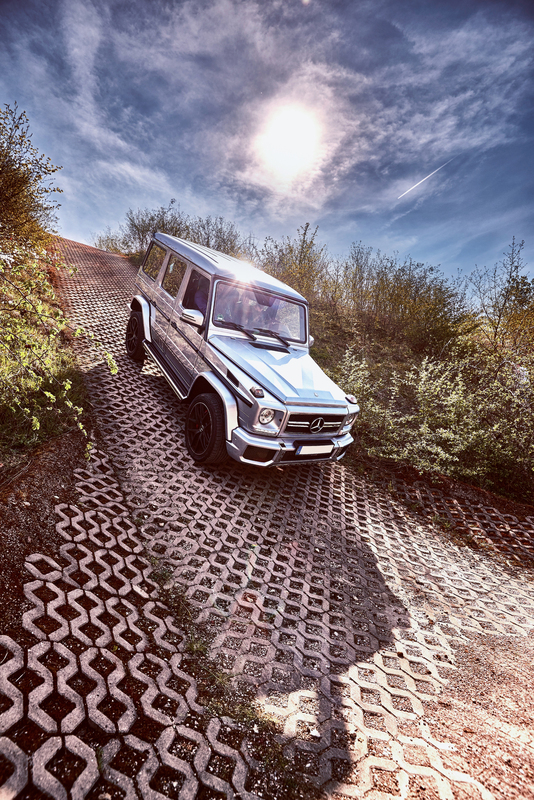 Different surfaces make driving the course an adventure. 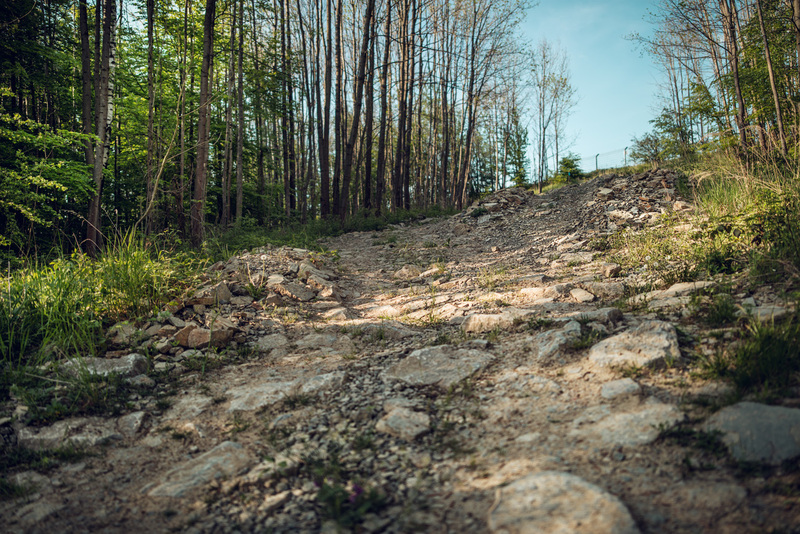 Whether it is on gravel or scree, through a sand pit or over tree trunks and log roads, steep uphill and downhill grades, over water crossings or oblique surfaces where individual wheels don’t touch the ground. There is something for every ambition and skill level. 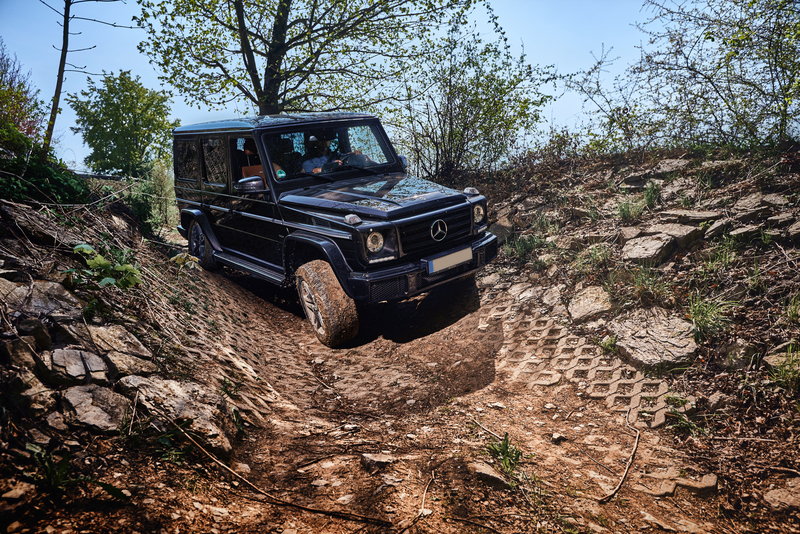 You can experience the course in our rental vehicles or bring your own off-road vehicles. Upon request, our experienced instructors will be your constant companions throughout the program. They will guide you safely through the various stages of the demanding course, either as your co-pilot in the passenger seat or from outside the vehicle via radio. The dynamic area is divided up into three interconnected levels, which can be wetted down separately or altogether. The middle level has a six percent downhill grade. In addition, the area has a 10 x 80 meter sliding surface in the extension of the approach. This sliding surface is always wetted down and allows for variable road grip. Our 250-square-meter off-road hall sets the ideal stage for impressively promoting your brand right next to the off-road course. There is a car wash and a workshop area for technical support of the vehicles. In addition to a hydraulic lift, you will also find a complete set of cleaning equipment there, which allows you to present your brand at the highest level. The skid pad has a diameter of 55 meters that can be wetted down. This area offers the best possible conditions for cornering and corner braking in exceptional situations or even for training yourself personally. The 600-meter-long, 12-meter-wide home stretch at the start and finish line sets the ideal stage for impressive accelerations off the starting blocks and exciting photo finishes. Car wash and workshop hall. 4.2 kilometers - which can be divided up into the 1.8 kilometer long west loop and the 2.4 kilometer long east loop. 44 crests and dips, 19 turns, downhill grades of up to 26 percent, uphill grades of up to 21 percent and a cumulative elevation change of more than 200 meters. You can use an area of four kilometers for your brand, with several levels of difficulty and an abundance of challenging topography. Twists and turns, steep runs and water-filled ditches await you and make every drive through the terrain unforgettable. This area is 400 x 60 meters and has combinable options for wetting sections of the track down. It is an ideal area for driver safety, braking, cornering and slalom training, as well as preparing for the challenging sections of the racetrack. The integrated water circuit, which is called a skid pad, has a diameter of 55 meters and makes it possible to simulate critical cornering optimally. Request form for your desired dates. Please use our request form to inquire about the desired dates for your driving experience at BILSTER BERG. We will check availability and contact you right away by email or telephone. The highlight of the location with a large lounge and a spacious terrace, which offers a great view of the race track and the natural surroundings of the Teutoburg Forest. Each area has modern, well-appointed facilities for holding theory training and making preparations as part of your driving experience. Whether it comes to balancing your chassis, repairs or tire service – our on-site partner, Classic & Speed, is here with their comprehensive service to make sure that you do not miss anything at your off-road training. As individual as your brand experience – your exclusive reception at BILSTER BERG.